In order to freely browse the Internet and stay completely anonymous, you can install a VPN on each of your devices. But, what if we told you that there’s an easier way to stay safe online? With a VPN router, you no longer have to worry about a thing. One of the best VPN routers on the market nowadays is the ExpressVPN router, which provides users with top-notch VPN security. 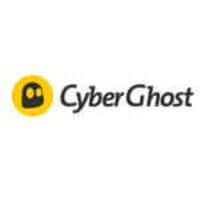 This VPN provider understands that not all of their users are programmers and tech professionals, so they offer an incredibly simple way for anyone to use the Internet worry-free. The ExpressVPN router protects your Internet connection from the very source. Since your router is protected, every single device that connects to your Wi-Fi is protected as well. You don’t have to purchase a special subscription to protect each of your devices, as the router automatically does it – all you have to do is connect the device you want to use to your network. This means that ever yone who uses your Wi-Fi network is automatically protected. Your guests can enjoy anonymous Internet browsing too, just like you and members of your family. You can order the ExpressVPN router online via the ExpressVPN website. 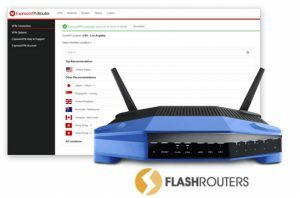 You receive a first-class router with a pre-installed ExpressVPN app – all you have to do is to install the router and start using your fully-protected Internet connection. Some might find it a bit pricey, but it certainly pays off, considering the level of security it provides. There’s also the option to just install the ExpressVPN app and secure your Wi-Fi network. You should be careful here, though, because there are many routers that don’t support VPN apps. The ExpressVPN website features a list of router brands that you can use with the ExpressVPN app. It’s not as simple as buying the ExpressVPN router, but it’s not too difficult either. You have to install the app by yourself, but it shouldn’t be a big problem, as you can find all the instructions on the site. Finally, you can also install ExpressVPN on your existing router, but this can be a bit challenging if you’re not tech-savvy. Firstly, you need to check whether your router is supported or not. In case it isn’t, you’ll have to replace the firmware, which could destroy your router if done incorrectly. On the other hand, if your router is supported, you need to configure it. This is quite complicated and you’ll have to put some extra effort to make it work. Having a VPN router is considered the easiest way to protect yourself on the Internet and enjoy all the perks of the World Wide Web. The ExpressVPN router is one of the best VPN routers currently available. You don’t have to install it on every device. You don’t even have to activate it. It’s really that simple. In addition to your smartphone, tablet, and computer, this router can also cover game consoles like PlayStation and Xbox, as well as your Chromecast and AppleTV. Basically, with the ExpressVPN router, you get top-of-the-line VPN service supported on all your devices. If you want to find out more you can read our objective Express VPN review.